Imagine that instead of dragging yourself to a gym or standard fitness activity you found something that was incredibly fun, and made you feel amazing! At Dance Dynamics Ringwood, our classes are designed to be achievable, cultivate joy and ultimately put a massive smile on your dial. We provide over 180 classes per week. 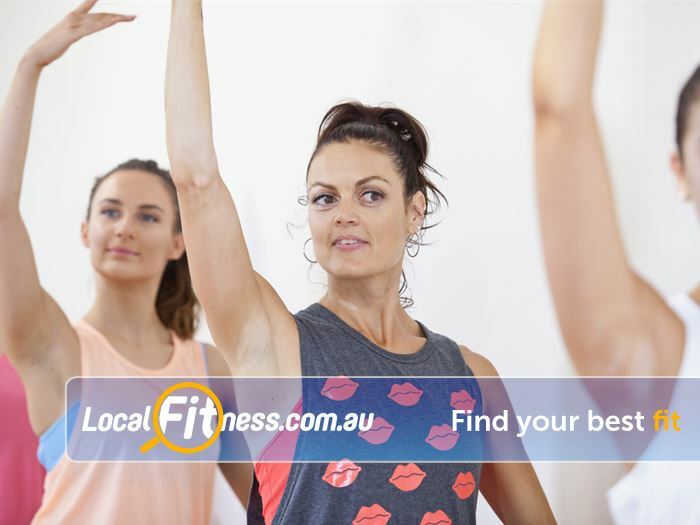 Choose from Pure Dance such as Broadway and Ballet, Dance Fitness such as Ringwood Zumba and Latin Rhymes and Dynamic Fitness classes such as Ringwood Yoga and Barre. At Dance Dynamics Ringwood, physically you will improve your fitness, mentally, you can achieve improving your coordination and emotionally, our classes can reduce stress and increase levels of feeling good.